Head over to get a pair of these Reebok Women's Capri Leggings for ONLY $12.99 shipped (Retail $39.99) with promo code PZY1299 at checkout! 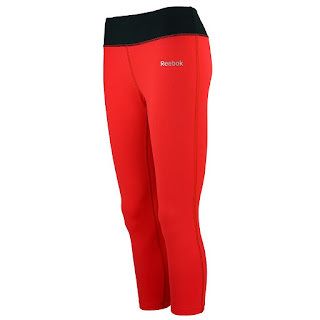 Reebok Women's Capris fit into your active lifestyle. These fitness bottoms are constructed from soft, breathable fabric, so you stay comfortable from start to finish. The wide elastic waistband provides great support and a flattering silhouette during your workout. Smooth, flatlock seams ensure youre protected from chafe and irritation during activity.